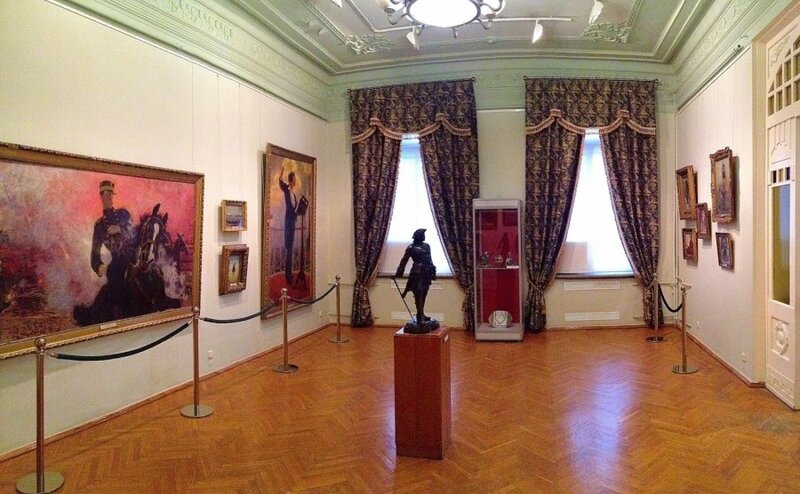 The visit to the Samara Art Museum is part of the cruise program on the route from Moscow to Astrakhan. The Art Gallery of Samara is the largest in the Volga region. Its collection was founded on 8th of May 1897, by the initiative of the local artists. At that time, they have donated paintings to the museum and have encouraged artists throughout whole Russia to send their works to the museum. Already in 1911, the amount of paintings amounted to 130 exhibits, and contemporary collection includes thousands pieces of art. The Samara Art Museum is situated in three different buildings, which are scattered around the city and suburbs. The main collection is exhibited in the main building on Kuibisheva street 92. The main building of the museum is a piece of art in itself and was constructed by the architect Yakunin in the early 20th century. The collection of the museum includes Russian artists, among which are Repin, Surikov and other artists of early 20th century, the collection of Russian porcelain from 18th to 20th century and collection of West-European art. Museum also offers exhibits from India, Japan and China, which compose the largest collection of Eastern art in the region. The events, which are held in the museum, became an important part of the cultural life of the region. The musical festivals, vernissages, meet-the-artists events, concerts, lectures are integral part of the museum's activity. The permanent exhibition of the museum consists of Icon-painting, Russian pictorial art, Russian Avant-garde and Eastern Art of 5th-20th century.